Teens are misusing drugs and alcohol at younger and younger ages. Here are the signs that they are using. – drug rehabs and rehabs for alcoholics . Teens are misusing drugs and alcohol at younger and younger ages. Parents are often unaware that it’s begun, since the warning signs of teen drug use can take time to appear. The physical, emotional and behavioral changes come on gradually. Consider that whatever you are aware of is probably the tip of the iceberg with your teenager. Even if your teen or young Adult finally admits that he or she is using, you’re not getting the whole story. What sounds like experimentation may be a habit. Not every teen who uses becomes a full-blown addict. Some turn things around on their own, while others are mired deeper and deeper in addiction. There’s no way to know, until you know. You don’t want to take that chance, so recognizing the signs and acting on that knowledge is crucial. Keep in mind that drug use is often the symptom you see for an underlying issue. Many teens are struggling with anxiety, depression, isolation, social and academic pressures, low self-esteem, social media/gaming, and family issues (such as divorce, illness and addiction). It’s no wonder that some turn to drugs and alcohol to numb their feelings and find acceptance. There is a world of paraphernalia out there (and hidden in your home). If you have suspicions, be on the lookout for butane lighters, baggies, roach clips, bongs, crumpled balls of tin foil (and check for resin/residue). Visine is their go-to for bloodshot eyes, which is among the first signs of using (often for marijuana). Many carry Visine in a pocket, glove compartment or purse. Yes, remember to check the car. The odor! Most know what alcohol and pot smell like. Don’t be fooled when your teen tells you that you are just smelling incense or even cigarette smoke. Kids will use other smoke to cover up the smell of pot. If they have suddenly grown interested in burning incense in their room, it is most likely to cover up the smell of pot. Have pills, alcohol and other drugs gone missing? This is an easy way for kids to begin experimenting – with substances they find in their own, or someone else’s, home. When a toddler swallows them, it’s accidental. When a teen takes them, it’s intentional. Keep them out of reach by locking them up. Notice their body. The effects of drugs and alcohol have noticeable physical effects. Marijuana may cause sudden weight gain because it increases appetite and decreases activity levels. Cocaine and crack can cause sudden weight loss. Meth causes tooth decay, sores, insomnia, sallow skin color, constipation and paranoia. And look out for a change in the smell of their breath. You know your child and his habits and performance best. One of the first things you may notice is that motivation, physical appearance, and grades are affected. Apathy about schoolwork sets in or increases. Pay attention to this sign. Something else is going on, whether it’s a real academic challenge or an emotional struggle. Does your child have new friends? Is he hanging around with the unmotivated kids with a bad reputation? Take note. He is gravitating to the kids with low-to-no expectations of him. If he’s using drugs with them, he is following their lead in order to fit in. When a teen is feeling insecure and lonely, all he wants is to belong somewhere, where there is no pressure. This group welcomes him, no questions asked. They all have something in common. A using teen will avoid family activities. Whether it’s family gatherings, dinner out, or the movies, your child prefers, insists on staying in their room, door closed. Your teen is withdrawn and uncommunicative. There might as well be a sign on the door – Stay Out! Don’t Pay Attention to Me! Combined with other evidence and behavior changes, this is actually an invitation for you to intervene. Your teen will deny it, but it is a call for help. They can’t fix themselves. Your child may also be irritable and have violent outbursts. You may be surprised at his reaction when you make a simple request or offer a benign comment. He is highly emotional and unpredictable. Yelling, breaking things, punching holes in the wall, and storming out of the house are not uncommon reactions. She’s neglecting her appearance. Notice changes in hygiene and dress. Wearing dirty clothes and being apathetic about bathing, skin, and hair are signs of poor self-image. Missing money. When you notice money is missing from your wallet, start keeping track. Drugs and alcohol cost money, which most teens don’t have. Your child will tell you that you’re crazy, just imagining it, or that you spent it yourself. Not wanting to believe their child is stealing from them, most parents will second-guess themselves. This is called denial. When you are in denial, you contribute to your child’s addiction. The ‘cheap highs’. Huffing is an inexpensive way to get high with products found at home. Common among younger teens, inhalants come in third behind alcohol and tobacco as the most used substances. Inhalants (found in spray cans) include air freshener, whipped cream, spray paint and hairspray. They contain butane or toluene, which can cause serious damage to the brain, bone marrow, kidneys and liver. Other cheap highs come from glue, paint thinners and markers. All of them can be deadly. 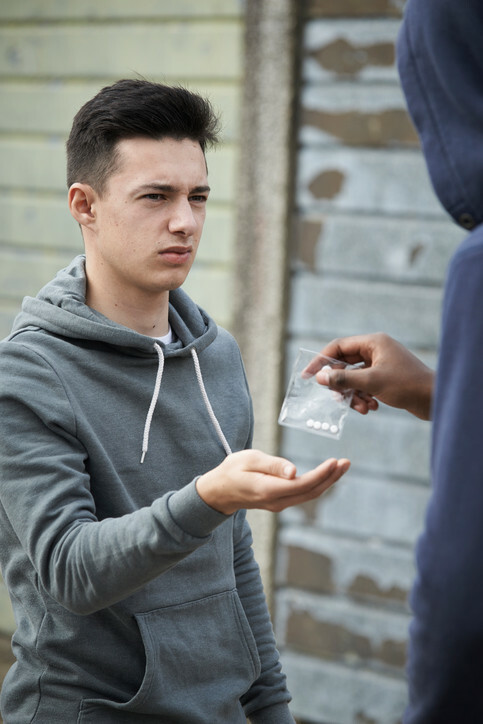 What do you do when you see multiple warning signs of teen drug use? First, you document what you have seen and heard. Remember that your child will deny it all so you’ll leave him alone and he can continue to use, and that there is likely something else going on that needs attention, intervention and/or recovery. It’s your job to be an observer and have the facts so you can get help if it’s needed. What does that help look like? There are many professionals and resources who want to support your family when you suspect drug and alcohol misuse/abuse: guidance counselor, student assistance counselor, police liaison to the school (SRO – Student Resource Officer). They can refer you to therapists, drug counselors, a substance abuse assessment, recovery facilities, recovery coaches, therapeutic boarding schools, wilderness programs and more. There is a huge network to help you tackle this as a family. The more you know, the sooner you can catch it. Pay attention to the warning signs of teen drug use. Through the anger, denial and pain, your child is counting on you to have your eyes wide open. Adult & Teen Challenge Centers are rehabs for men, women and teenagers that offer proven and affordable long-term addiction recovery solutions. We can also help you in your search for other drug rehabs near me, rehabs, substance abuse treatment, Christian rehabs, Christian drug rehabs or Christian rehabs. Finding the right alcohol and drug rehab is one of the most important decisions for an addict. It is important to understand everything you can about substance abuse recovery centers and drug recovery centers. Christian rehabs usually offer separate facilities for each gender. Insurance for addiction recovery forces drug addiction rehabs to complete their addiction recovery in 90 days or less, which usually doesn't work. Adult & Teen Challenge Centers are a long-term addiction recovery program and facility that is affordable, serving men and women from Florida, Georgia, North Carolina, South Carolina, Alabama, Kentucky, Arkansas, Oklahoma, Texas, Tennessee and Virginia. Teens are misusing drugs and alcohol at younger and younger ages. Here are the signs that they are using. FLORIDA RESIDENTS: Please note that Adult & Teen Challenge Centers in Florida are nonprofit religious institutions, not licensed medical facilities, nor do they accept insurance. Outcomes indicated are based on multiple outcomes studies, including this study from the National Institutes on Drug Abuse. "NO WARRANTY" LEGAL NOTICE: While outcomes studies for Adult & Teen Challenge centers have historically shown high addiction and substance abuse recovery rates, neither they nor the owners and operators of this website guarantee addiction recovery for any particular individual. Recovery and future avoidance of addicting substances and whatever effects that such substance may have on the individual's life, their future, their career or their friends and relatives are entirely dependent on each individual and how they apply the principles that are taught. See links to further Disclaimers and Privacy Policies above.